It’s usually easy to identify shy people. They tend to avoid conversations with strangers, and when they need to speak to others; they often speak quietly and avoid eye contact. 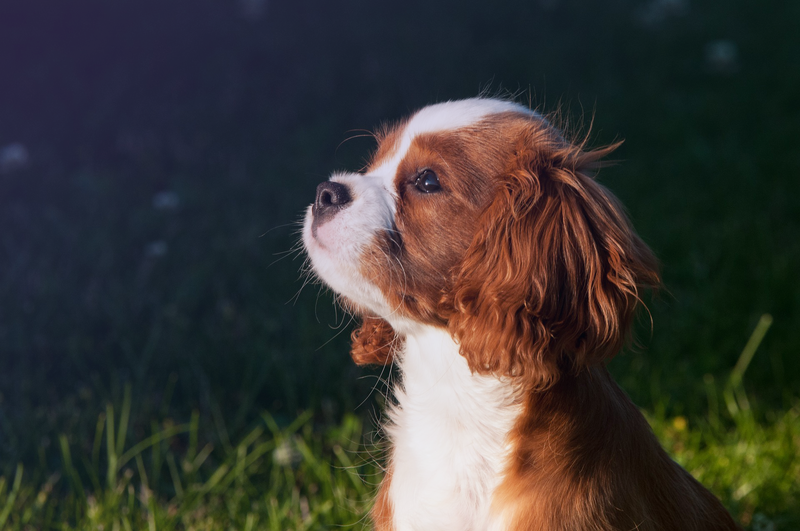 Did you know – dogs also display obviously shy behaviors? Does your dog hide when a guest comes over, avoid eye contact or even tremble? Those are typical responses, however, not all shy dogs behave as we’d expect them to. Growling, barking and other aggressive actions can also be responses — trigged by fear, a result of a dog’s timid character. Exposure management: “[Find] ways to rewire your dog’s brain to associate something they were once afraid of with something they love.” Example: If a dog is afraid of skateboards, place a skateboard on the floor with their favorite kibble or treats sprinkled on it. Successful environment: Find a way to put your dog in a new environment where they are set up for success. For example, instead of introducing your dog to other dogs at a busy leash-free dog park, first introduce them to new dogs in calm and controlled training class. Agility training: “Agility training usually involves teaching your dog certain tasks (like jumping over a pole or running through a plastic tube) then completing those tasks in a specific order.” As your dog learns new skills, they learn to take cues from a human and gain trust, which helps them feel safer. New experiences: Introduce your dog to new situations and settings—slowly. Then, give your dog kibble or treats to show them that new experiences can be positive. Dog to dog: Socializing and spending time with another dog can boost some dogs’ confidence. This is preferably done during puppyhood, but is beneficial at any age. It’s also crucial to make sure that your shy dog is introduced to a calm dog. Fear mitigation: Some dogs take some time to respond positively to the techniques described above. For these dogs, try avoiding situations that trigger your dog’s fear. You can do this by controlling surroundings and places you visit. For example, if your dog is afraid of strangers, avoid crowded areas. When somebody approaches and asks to pet your dog, kindly relay that your dog is uncomfortable around people they don’t know. Create a “safe zone” when visitors are over by using a crate, or pet gate for your dog to take a break. What techniques did or do you use to help your dog? Are they successful? Tell us, we’d love to know.